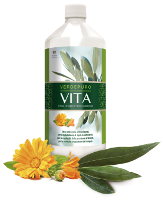 The best mix of herbal ingredients to feel good and fit. 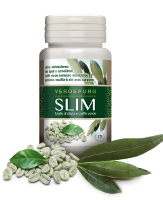 MYVITALY® Slim with Caffeine, Green Tea, Garcinia Cambogia and Olive Leaves. This herbal supplement is an effective metabolism booster that can help you to burn more calories, promotes the breakdown of fat and boost metabolism of carbohydrates and lipids. Amongst the benefits of these metabolism booster pills and olive leaf extract capsules there is an Antioxidant and Draining Action for the whole organism. MyVitaly® SLIM are metabolism boosting pills, a natural health supplement which helps to Speed up Metabolism and Lose Weight. 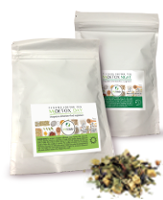 The Olive leaf pills have Green Tea and Green Coffee which are great herbal metabolism booster and a free radical scavenger. It reduces the absorption of calories, fats and carbohydrates. Take 1 tablet twice a day, preferably in the morning and afternoon between meals with a full glass of water. Garcinia (Garcinia Cambogia (Gaernt) Desr.) fruit dry extract standardised 60% hydroxycitric acid, bulking agent: cellulosemicrocrystalline; Green coffe (Coffea arabica L.) seed dry extract standardised 45% chlorogenic acid, Bitter Orange (citrus aurantium L. var. amara) immature fruit dry extract standardised 10% synephrine, Green tea (Camelia sinensis (L.) Kuntze) dry extract standardised 98% polyphenols, Griffonia (Griffonia simplicifolia (DC) Baill) seed dry extract standardised 20% 5-hydroxytryptophna, Olive (Olea europaea L.) leaf dry extract standardised, 45% polyphenols, anti caking agents: silicon dioxide and magnesium stearate. Dietary supplements should not be used as a substitute for a varied and balanced diet and a healthy lifestyle. Not recommended for pregnant, lactating women and children. Keep out of reach of children in a cool and dry place. These products are not intended to diagnose, treat, cure or prevent a disease or infection. Keep out of the reach of children. Keep is a dry and cool place.